Whilst the show has all but confirmed that White Pearl once belonged to Pink Diamond, as seen in the dream sequence of Together Alone, we still have so many questions. Was our main Pearl originally with White Diamond? 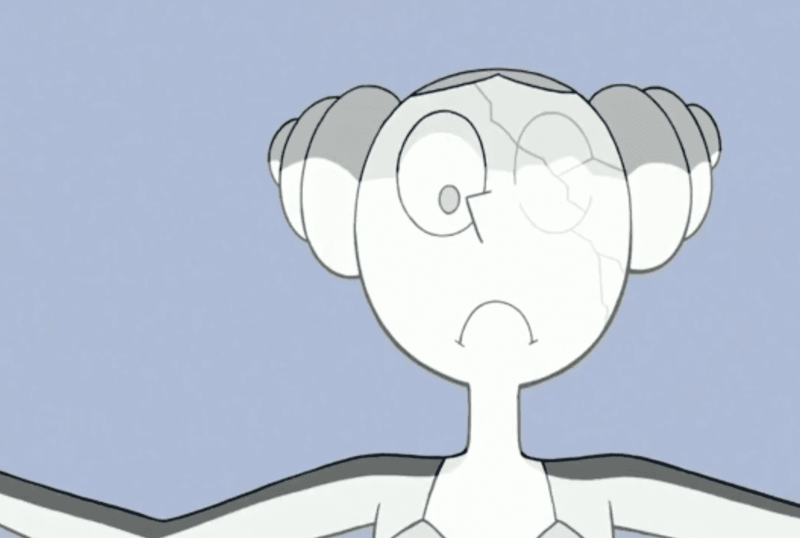 The biggest question of all however, is just how did White Pearl lost her eye? The biggest theories online are that it was punishment either on the the pearl or on Pink, but either way, it looks like it came at the hands of White Diamond. Many people are also theorising that White Diamond may be controlling her Pearl – evidence being both the different kind of voice actor and her strange movements. 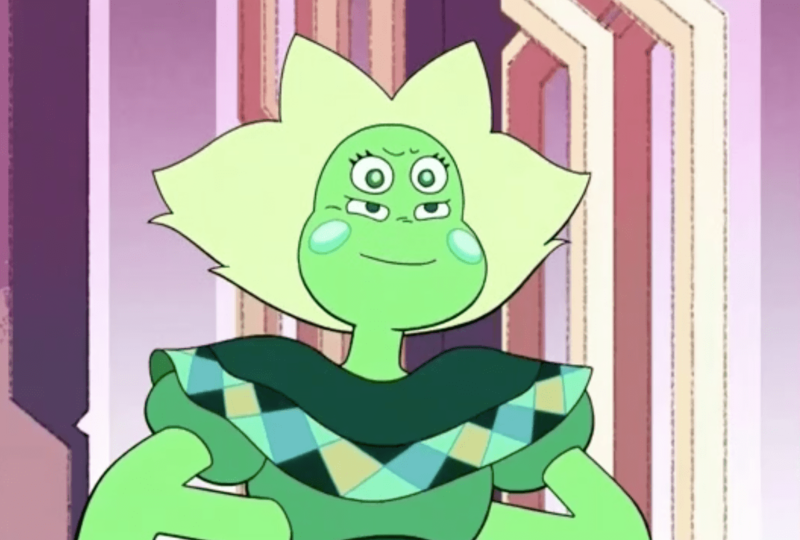 Not to mention her terrifying smile, very reminiscent of White Diamond herself. Everyone loves a good fusion and it was a delight to see Opal again in Together Alone, but will we see more in Change Your Mind? The options are limitless, but realistically Sugilite is unlikely unless Cartoon Network have given the budget to get Nicki Minaj back, Sardonyx doesn’t seem within the tone of the episode, but an Alexandrite could be a definite possibility. Lots of fans are also hoping for a Steven version of Rainbow Quartz or a Garnet/Steven fusion, but even a return of Smoky Quartz could be fun. 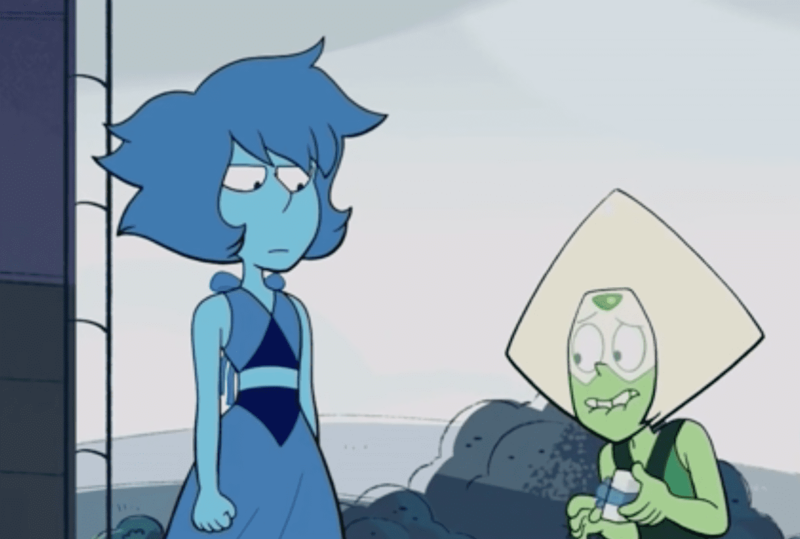 Fused or not, it’s about high time we got to see some Lapis and Peridot back in our lives. Steven, in watermelon form, returned to Beach City at the end of Escapism and we saw Greg, Lion and Bismuth fixing up the house, but there was no sign of Lapis or Peridot who were poofed in Reunited. 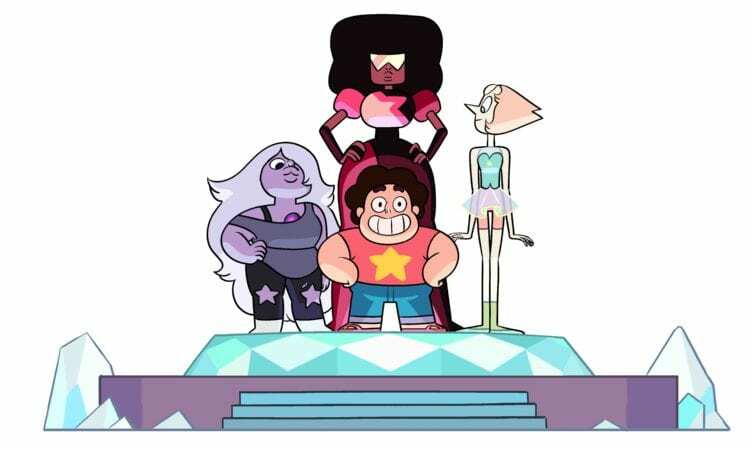 Will they make a grand return tonight, and will they officially be Crystal Gems? 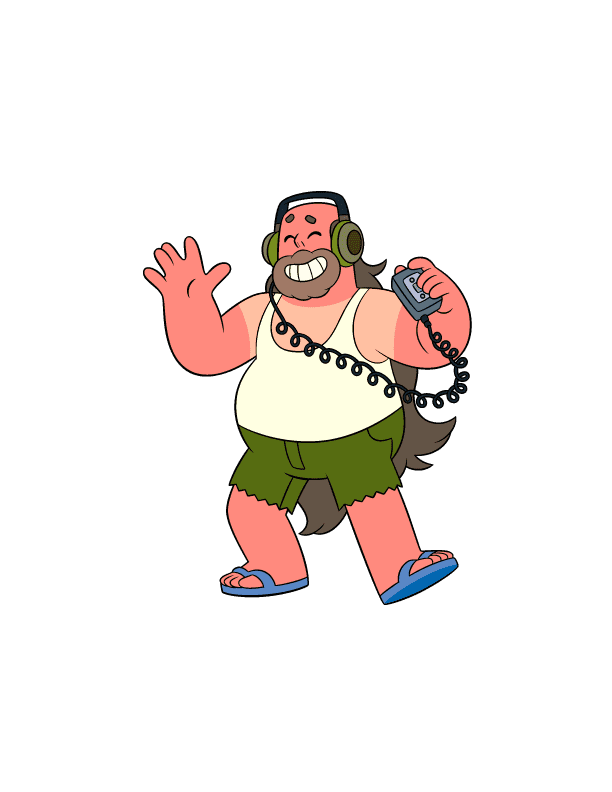 Greg Universe might be coming to save the day with his rock loving charm. Will he convince his alien in laws of the love and joy humans have to offer? Can he drive his van in to their hearts? He’s been to space once before when captured by Blue Diamond and imprisoned in Pink’s human zoo and managed to become a virtual god whilst there, so think of how his charm could go down on a planet full of gems. 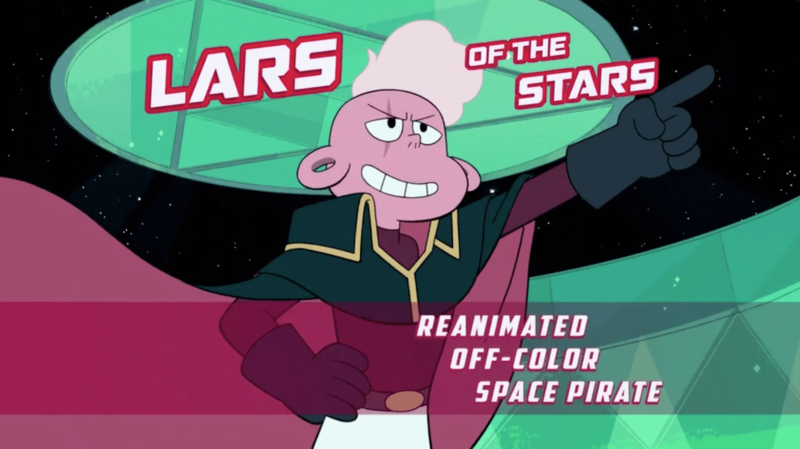 One of the biggest theories online is that Lars and his star crew will swing back to Homeworld to help Steven and the gang, bringing along the off colour gems and helping to start a new revolution. 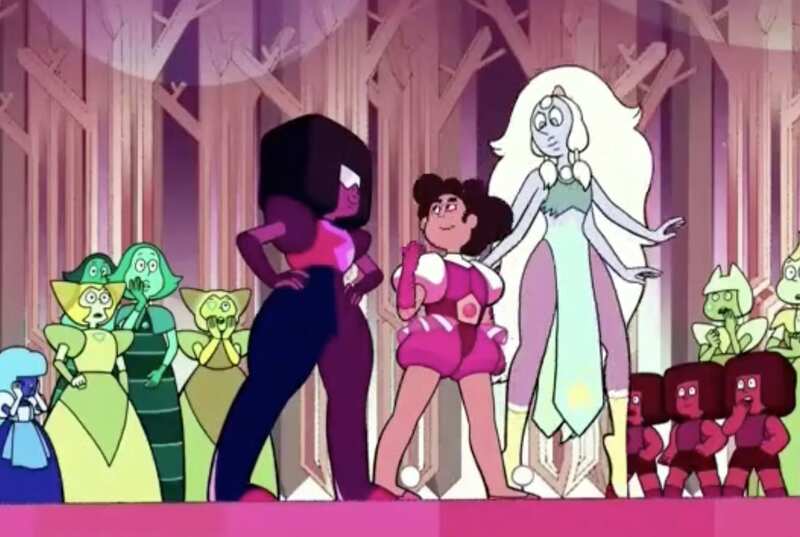 It’d be great to see some of these off colour gems back in action, and a good way of setting up Lars’ return to Beach City. There’s still so much more we want to see, and with 44 minutes of pure Steven joy just mere hours away, we’re bubbling with excitement. What are you must looking forward to in the special Battle of Heart and Mind event? Let us know in the comments below.